Aug 01, 2016 (LBO) – Melstacorp limited will become the parent company of Distilleries Company of Sri Lanka PLC (DCSL) and other subsidiaries of the current DCSL Group, a statement said..
Distilleries Company of Sri Lanka PLC (DCSL) announced a reorganization of the shares and stated capital of DCSL and its fully owned subsidiary Melstacorp Limited (Melstacorp) in a Colombo Stock Exchange announcement. In what is believed to be Sri Lanka’s first 180 degree share swap, Melstacorp which is a 100 percent owned subsidiary of DCSL PLC will become the holding company while DCSL PLC will become a subsidiary of Melstacorp Limited. Upon the completion of the reorganization which requires the approval of the shareholders of DCSL PLC, Melstacorp shall become the Flagship of the Group. The shareholders of DCSL will be allotted shares in Melstacorp, in the proportion of four (4) Melstacorp shares in exchange for every one (1) share the now hold in DCSL. DCSL PLC shall become a fully owned subsidiary of Melstacorp and Current shareholders of DCSL shall own shares in Melstacorp and through Melstacorp, all the subsidiaries in the Group including that of DCSL. The Company will hence apply to the Securities and Exchange Commission of Sri Lanka / Colombo Stock Exchange for the transfer of the DCSL shares to Melstacorp in exchange of the issue of shares in Melstacorp to DCSL shareholders. Melstacorp will also make an application to be listed. Subsequent to the swap 100 percent DCSL PLC will be held by Melstacorp Limited. Hence the group will issue fresh DCSL PLC shares to the public with a preferential allotment to the shareholders of Melstacorp over third party applicants. This will restore the public float of the Company. Upon such issue major share holder of DCSL PLC will continue to be Melstacorp Limited. Until 1995 DCSL PLC was a liquor producing company listed in the CSE. Since 1995 DCSL PLC had made several investments in various diversified sectors of Sri Lankan economy such as in Insurance, Telecommunication, Logistics, Leasing, Fabric Manufacture, Leisure, Information Technology, Hydro Power and BPO Services. 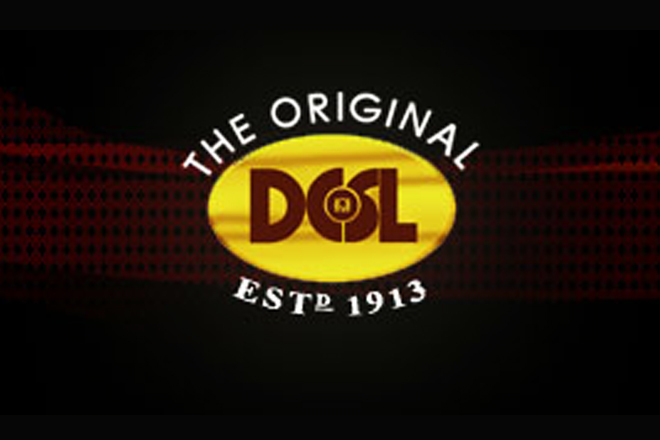 Although the nature of the business of DCSL changed from a ‘liquor’ company in to a diversified holding company, the name of the holding company remained unchanged. The Company however could not extend the name “distilleries” to such investee companies as it is descriptive of the ‘liquor’ industry. With the introduction of the National Authority on Tobacco and Alcohol Act No.27 of 2006, using DCSL as a corporate brand became illegal although it was the abbreviated form of the holding company’s name. As such, the DCSL PLC decided to introduce a Group brand name that it can use amongst the group companies without violating the said National Authority on Tobacco and Alcohol Act. Consequently, the Management decided to rebrand the group under a new common brand, namely, ‘MELSTA’. With a Group brand in mind, a holding company named Melstacorp Limited was formed as a 100 percent owned subsidiary of DCSL and all investments of DCSL are now owned through Melstacorp Limited. In view of the forgoing, in order that the investee companies benefit from an established and a common Group brand, the Board has decided to recommend to the shareholders to make Melstacorp Limited the ultimate holding company of the Group and to be the flagship of the Group and to obtain a listing for its shares on the Trading Floor of the Colombo Stock Exchange, subject to the relevant approvals from the Securities and Exchange Commission of Sri Lanka and the Colombo Stock Exchange.